Lansing Police made an arrest in a New Year's shooting that left a 16-year-old girl critically injured. 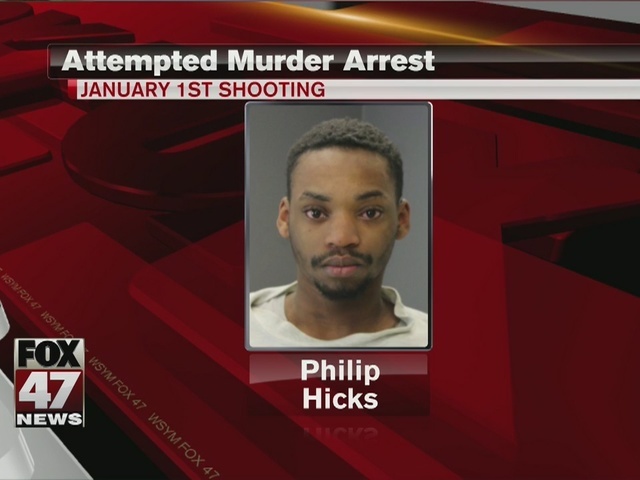 Police reported Monday that they arrested 20-year-old Philip Desha Hicks for the shooting. On January 1, 2016, at approximately 1:30 a.m. police were called to the 5900 block of South Waverly Road. The 16-year-old was inside an apartment suffering from a gunshot wound. Investigators say they believe Hicks had got into an argument with several people at the apartment, and as he was leaving fired several rounds from a gun into the apartment. They say Hicks then left the area. Police were able to positively identify Hicks and recently made the arrest. Hicks is charged with assault with intent to murder and two weapons related charges. Police say the victim's condition has improved and is stable.